Installing real insulation in an existing house is tough. That is actual between-the-wall fiberglass insulation. Not many options exist for you. 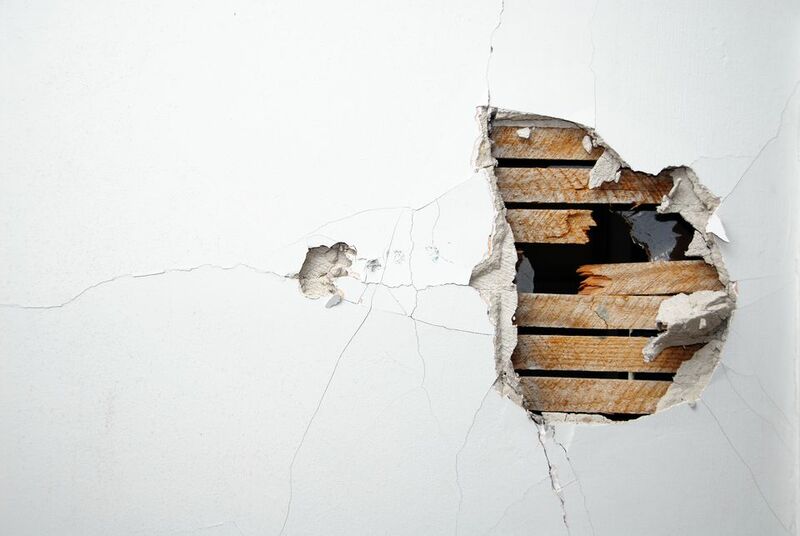 If you're tearing out plaster or drywall--well, go ahead. Walls are open, so it's just as easy as installing it in a new construction building. Roll it out, cut it, staple it, and there you have it. If you're not opening walls, blown-in insulation is a distant second. This entails opening holes in your exterior and pumping in with a blower. But even the experts can't ensure 100% fill. Wall interiors have all sorts of funny things inside that are difficult to anticipate: firestops, crisscrossing wires, oversized plaster "keys" that invade the space. So how about insulating paint? There are several types of insulating paints, the prominent of which are Nansulate, Insuladd, Hy-Tech, and others. The way they work is that you either apply the insulating (or thermal) paint to the interior walls or you mix an additive into your existing paint. Multiple coats are recommended. The first and most important point to note is that any kind of paint coverage will add insulating properties to your house--insulating or thermal paint just takes it beyond. Far beyond. Hy-Tech says that its ceramic-based paint creates a tight, thin vacuum layer that deters the passage of heat or cold. Microscopic ceramic beads no bigger than a grain of flour form this vacuum surface. As you may now, vacuums hinder thermal properties. That's why double-paned windows often have a vacuum layer between the panes or a gas such as argon or krypton. I always get suspicious when a product claims that it was "developed by NASA." But after closer inspection, it does appear that insulating paint additive really was developed by NASA's Ames Research Center. So the product exists and it does work. Exactly how well it works is debatable. Different manufacturers claim different results. Hy-Tech says that since "R" values can only be measured on materials one-inch thick or greater, paint cannot legitimately be compared. They say that in their own tests, comparing their additive with one-inch thick insulation, both hindered heat transfer by 35%. Insulating paint will not replace a good thick layer of R-19 fiberglass between your walls. But if you have no other choice--and if you have a fat wallet, because thermal paint and additives are expensive--you may want to try it.